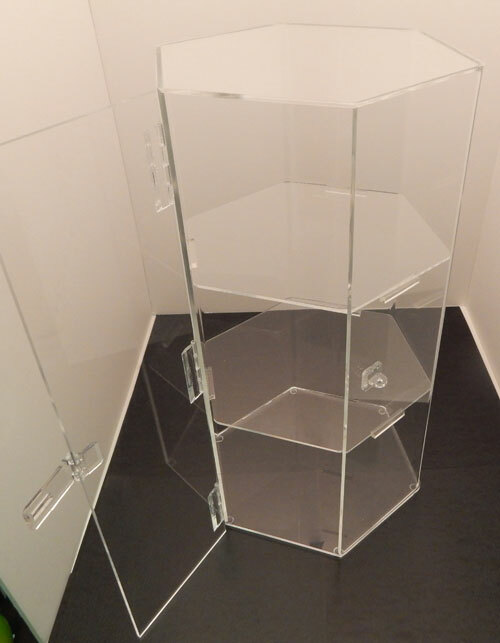 This is a hexagon acrylic display case. Bring a little bit of a unique design aesthetic to your space with this hexagonal display case. The completely clear construction allows for browsing from all angles of the display case. 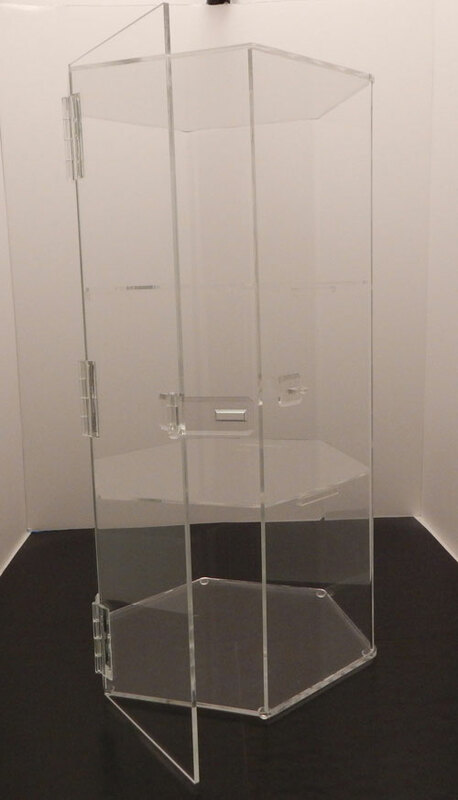 These acrylic materials used in the construction of these display cases is of a very high quality and provide a durable end product. 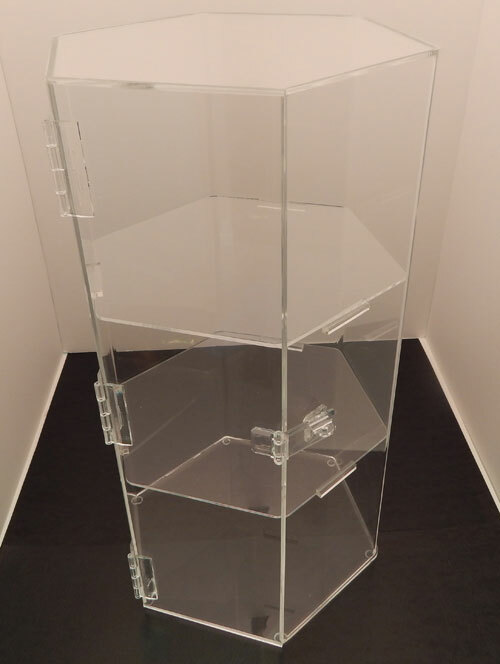 A lock can be attached to this display case to prevent any theft or unwanted access of your products.